IP65 LED fire rated downlight for domestic and commercial applications Supplied with white bezel ..
All Floodlight guards are manufactured from sturdy 1" mesh. As standard, they are coated with an ele.. 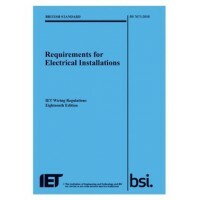 The 18th Edition IET Wiring Regulations contains important new information for all electrical instal.. 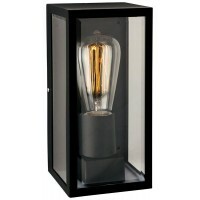 Product DescriptionDallas Wall LightColourBlackMaximum Wattage1x 60w E27Supplied with or without Lam..
Our ethos for electrical wholesalers is that they have quality electrical supplies at excellent prices allowing electricians and contractors to do their job right the first time and to schedule. At Amble Electrical Distributors based in Luton this ethos for electrical wholesalers defines everything we do. And this has been recognised nationally as well. In the years 2016-2018 amongst some of the best UK electrical wholesalers we have won awards such as best individual branch and best website. 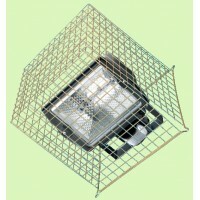 Our electrical supplies include industrial lighting as well as home lighting. We have a comprehensive range of CCTV systems and CCTV kits. 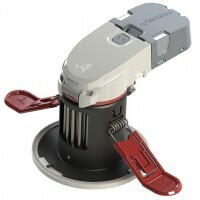 These include home CCTV systems both wired and wireless. Our extractor fans comprise the excellent Envirovent silent 100 range as well as the Envirovent positive input ventilation unit. If you’re looking for electric sockets then our wiring accessories including USB plug sockets will provide everything you need.